Ivory, Rich Red, Moss, Soft Green. Dashing Roses Collection. 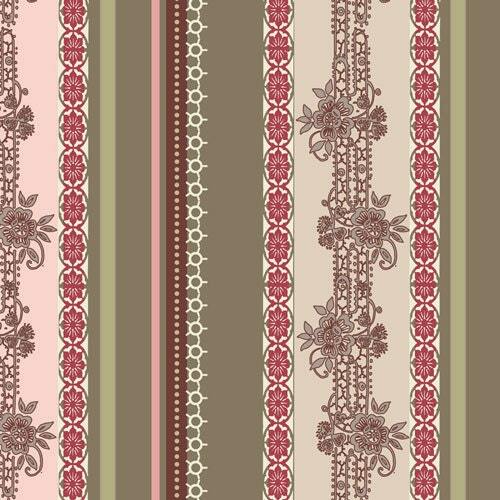 Lacy striped design.